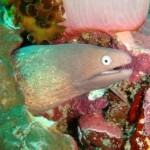 All dives take place at Koh Phi Phi National Marine Park. Phi Phi Island is famous for it’s diverse reef systems and wide range of aquatic life and are lucky to have the Marine Park right on our doorstep. Only 20 – 25 minutes from Phi Phi Pier and we are at the dive sites! For more information on our daily dive trips schedules, click HERE! Have a look at our dive packages which include dive trips, accommodation & ferry tickets. 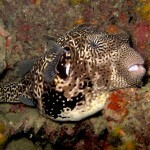 Our dive sites boast sloping reefs, fantastic walls and beautiful deep pinnacles. Each site is a little different with lots of different species to see. Local Marine life includes harmless leopard sharks and black tip reef sharks and many resident Hawksbill Turtles. We also have Clownfish, Octopus, Stingrays, Cuttlefish, Giant Trevelly and Barracuda to name a few. Koh Phi Phi has excellent macro life including colourful Nudibranchs, Flabellinas, Seahorses and Frogfish. 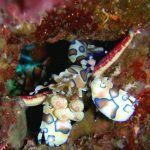 Rarer species like harlequin shrimp, ghost pipefish and frogfish can also be found here. Tell your guide what you would like to see and we will try our best to find it for you on our dive trips! If you are interested, we can discuss upon your arrival the possibility of doing three dives a day. 8.30am/1pm – Boat Departure! We aim to miss the crowds by getting to the sites when other divers are surfacing. Often get the dive sites to ourselves…..meaning more fish and less divers! Dive 2 – See turtles on your first dive? We can take you to a good shark spot second, and vice versa! 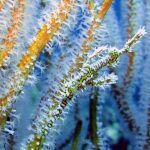 We dive the best sites that we can access each day. Please note that in low season we do not have full access to the Marine Park. 5.30pm – 6pm – Afternoon trips return to the pier. You can ‘Arrive and Dive’ on the same day provided you book in advance. Been some time since you dived? If you would like to take your diving education to the next level, then join our dive trips as a Adventure, Advanced, Speciality and Rescue Student. If you want to ‘Arrive and Dive’ on the same day as you arrive to Koh Phi Phi, you must book in advance so that we can arrange your deposit, sizes, lunch and insurance details. ‘Arrive and Dive’ on the same day provided you are staying in Tonsai Village. You must take the first ferry over to arrive in time for check in which is not later than 12pm. Afternoon boat departs around 1pm and returns to the pier by 6pm latest. First ferry from Phuket is 8.30am and from Krabi is 9am, both arriving around 11am. We can book your transfer and ferry over to the island for you if you like! Afternoon boat departs around 1pm and returns to the pier by 6pm latest. Dive Trips prices are inclusive of tanks, weights, equipment, lunch, water, fruit and Divemaster fees. If you have your own Scuba Diving equipment you will be entitled to 500THB off the price listed above! 10% discounts for professional divers with a current renewed licence! If you complete a course with us you will receive lifetime discount of 10% off fun diving and 700 THB off your next course. 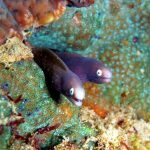 If you are coming to Koh Phi Phi for a few days and love diving, Koh Phi Phi has a huge variety of different dive sites to explore. Sign up for local dive trips for 2 or more days! We prioritise our repeat divers so that you can experience as much of Koh Phi Phi’s diverse marine life as possible. 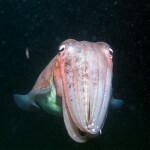 Join our local dive trips for many days as we have many different sites to offer. We have two small islands called Bida Nok and Bida Nai which are favourites of ours! There are many sites around Phi Phi Ley, all a little bit different. On the West Side we have Malong and Maya Corner, which have some really cool swim throughs and a healthy population of hawksbill turtles. At Palong Bay, Palong Wall and Mushroom Rock you are almost certain to see black tip reef sharks! At the East Side of Phi Phi Ley, we have two walls just outside Pileh Lagoon. Pileh Wall 1 and Pileh Wall 2 which are covered with beautifully coloured soft corals. These can sometimes be drift dives and you can feel like Superman flying along the wall! At Viking Bay there is an artificial reef and coral nursery, which is attracting more and more life every year since it was constructed in 2006. 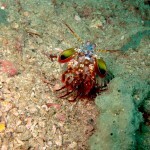 Crabs, lobsters, Shrimps, Octopus, Cuttlefish along with the corals, come alive at night. Other fish sleep in crevices, hiding from predators such as barracudas that hunt by the light of your torch. During the dive we find a sandy patch, kneel down and cover our torches. Once in darkness wave your hands around and watch the water comes to life as the beautiful plankton glows when it’s disturbed. It looks like a million stars in the sky. With the site only 5 minutes by boat you can be briefed, enjoy a dive and return to shore in under 2 hours! Join our night dive trips as an Adventure Night Diver for 2,400 THB which credits you one dive towards the 5 needed to complete your Advanced Open Water Certification. 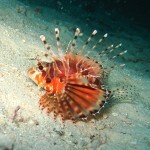 The Kled Gaeow has already attracted a massive array of marine life making it one of our most popular dive trips. Lots of large schools of fish can be seen including barracudas, jacks, yellow snappers, and fusiliers. 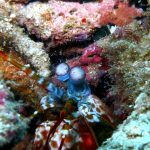 You can find an abundance of reef crabs, lionfish, scorpionfish and also squid, octopus and even some Bamboo Sharks around the hull! The Wreck sits itself at 28 metres with the shallowest point at around 16 metres. It has some great pentration points too! However, this should only be done under the correct supervision. Therefore diving it as part your PADI Wreck Speciality Course is ideal. 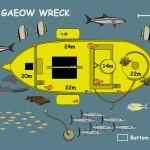 The Kled Gaeow Wreck trips are best dived during optimum currents and conditions. For these dive trips we may have morning or afternoon departures. 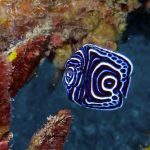 Due to the depth of the site you must be PADI Advanced Certified or Deep Certified with recent diving experience, to join these dive trips. If you do not have time for your full PADI Advanced Open Water Course, don’t worry. As long as you have recent diving experience you can complete your PADI Adventure Deep Dive, which certifies you for life to 30 metres. Includes one Adventure Deep Dive on the Wreck + one Local Dive at the Marine Park. Have a look at our dive packages which includes dive trips, accommodation & ferry tickets. These sites are about 1 and half hours away from Koh Phi Phi by big boat, halfway between Koh Phi Phi and Phuket. The King Cruiser was a car ferry that collided with Anemone Reef on May 7, 1997. 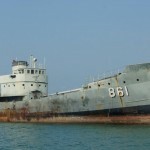 It sunk 9 miles west of Phi Phi Don under dubious circumstances. Everyone on board was rescued and rumours of insurance fraud began to spread. The wreck is 85 meters long and 25 meters wide. It rests at 32m on the seabed and appears at 16m below the surface. The Wreck itself is stunning, with huge schools of fish, barracudas, cool nudibranch and lots of lionfish & scorpion fish. 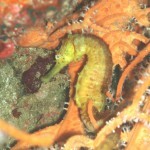 It is an Advanced Dive Site, because it is a deep site often prone to strong currents. The King Cruiser Wreck is a 3-dive trip which can be completed as part of your Advanced Open Water Course or as an Adventure Dive with an instructor. 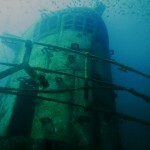 If you want to dive the wreck but are not deep certified, you can do your Adventure Deep Dive at the King Cruiser. Follow the Wreck with dives at Anemone Reef and Shark Point. 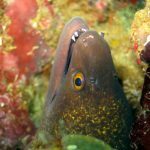 Anemone Reef is a pinnacle completely covered with soft coral, where you can expect to see many species of morays, schooling fish and sea horse. At Shark Point look out for leopard sharks, white-eyed morays and harlequin shrimp. Due to the weather, currents and other aspects this trip is only available upon request, once arriving to the island. These sites have deepest drop offs in Thai waters and are spectacular and dramatic. With frequent sightings of Manta Rays and Whale Shark, this cleaning station is one of the best dive areas in Thailand to view pelagics as they feed and get cleaned. Aside from the occasional pelagic visitor, the sites are covered in beautiful soft corals and leopard sharks, rays and turtles can be seen. Also there are many beautiful small creatures and schools of batfish and barracuda surround the sites. 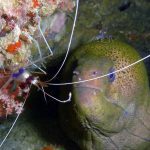 These sites are more suited for experienced divers with certifications allowing 30 m dives. These are open sites that drop off to about 65 meters; so planning, good buoyancy and depth control on either of these sites are a must. Open ocean sites are subjected to both tidal and oceanic currents. So be prepared for anything. The visibility here tends to be excellent; the average is about 30 meters in the high season. Get your Adventure Deep Dive here or do your Advanced Course first. 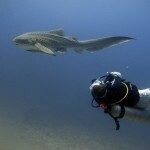 Then go looking for Whalesharks and Manta Rays at Thailand top dive sites! This is a request-only trip and can be organised once you arrive to the island. Minimum numbers are required along with a non refundable deposit. Please contact us for more details! This is a special trip so unfortunately no discounts can be given. This price is fully inclusive of tanks, weights, equipment, lunch, water, fruit and Divemaster fees. 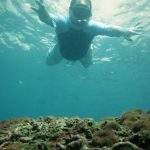 Come aboard as a snorkeler or passenger and we will take you to the dive and snorkel sites of the day and stop to have lunch on the beaches of Phi Phi Ley. You can experience the majestic Koh Phi Phi above and underwater as your friends dive. Snorkel around as Hawksbill Turtles come up for air and watch from above the harmless black tip reef sharks cruising around the reefs. A snorkel guide will join you for safety and orientation. You can also join another snorkel tour, rent a private boat, or sign up for one of our Eco-Tours. For more information click HERE! 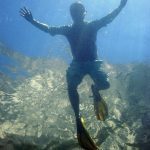 If you love to snorkel we offer Skin Diver Course which teaches you how to snorkel down and swim amongst the fish until you have to come back up for air. Contact us here for Skin Diver courses. Join us for fun diving in Koh Phi Phi and enjoy discount at our sister shop in Koh Lipe Adang Sea Divers! NATIONAL PARK FEES are not included in trip prices. Day 1 you will pay for a 3 day park ticket costing 400 THB and pay 200 THB/ day for up to 3 days. For more information please click HERE. to read our blog. This charge is paid in cash to Park Rangers at the pier before boarding the dive boat. Thank you for your support of Phi Phi National Marine Park! Please click to see our Cancellation Policies for the Discover SCUBA Diving.